Despite common misperceptions, grace is not safe. It’s not easy. Frankly, it takes courage to show grace to those whom some believe deserve less. Oftentimes, the person showing God’s grace gets counted among the sinners, just as Jesus experienced centuries ago. We live in a society that vacillates between glorifying sin and crucifying those who get trapped by sin. 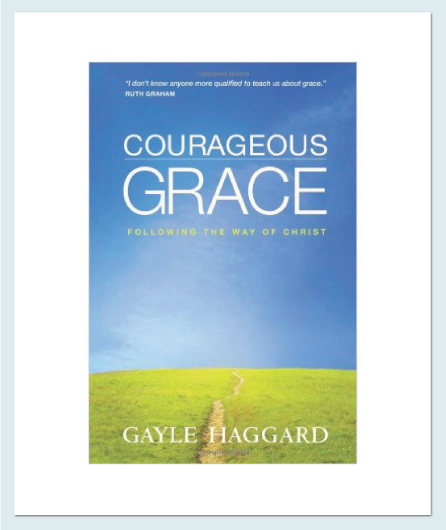 Gayle encourages us to take the road less traveled—daring to show God’s grace to the sinners among us (who, in fact, are us). It’s what followers of Christ are called to do. On November 2, 2006, Gayle Haggard’s life changed forever. That was the day that her husband, Ted Haggard, founder of the 14,000-member New Life Church in Colorado Springs and the President of the NAE, confessed to her the truth. 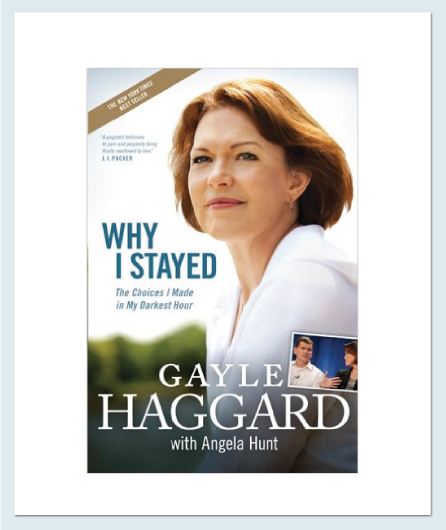 In Why I Stayed, Gayle walks us through the choices she made in her darkest hours. On the day and in the months ahead, everything in her life was at stake—what she believed, the husband she loved, and the church community she had worked tirelessly to establish with her husband and friends in the basement of their home more than two decades earlier. Out of this crucible in her life, Gayle has discovered a newfound passion for the central message of the Bible—the liberating message of forgiveness and love. Why I Stayed is a must-read. It paints a picture of what less-than-perfect people, across this nation and all over the world, desperately need—a community of family and faith that offers healing love and a path to restoration.